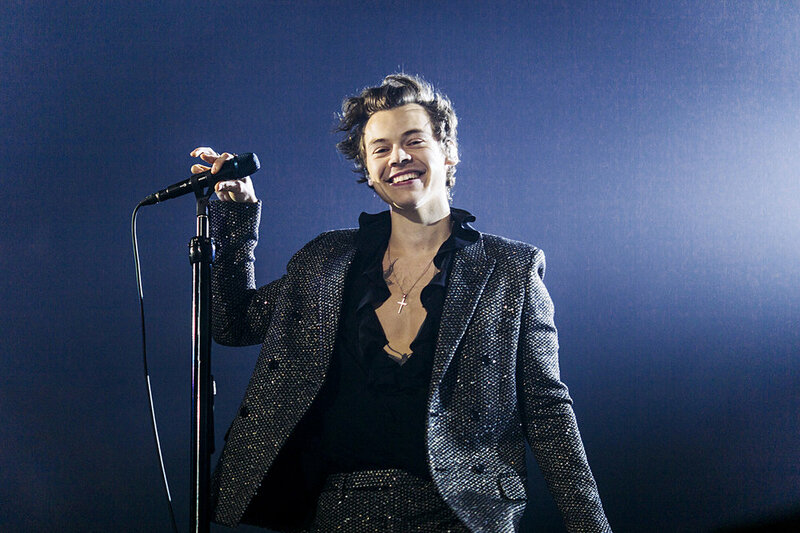 Voted one of the best dressed men in the world (GQ 2018), Harry Styles has come along way form the colour co-ordinated, cringeworthy days of boyband style. 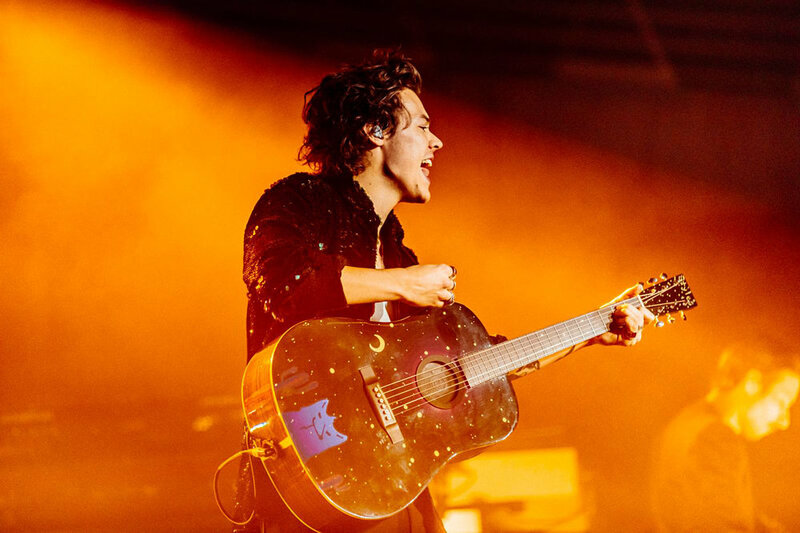 Long before he went solo from One Direction, Styles was already upgrading his individual aesthetic; with a signature style of patterned embroidery suits, unbutton shirts and loud prints. Refreshingly different to see, Styles continues to impress with a variety of ensembles and enviable designer wardrobe. 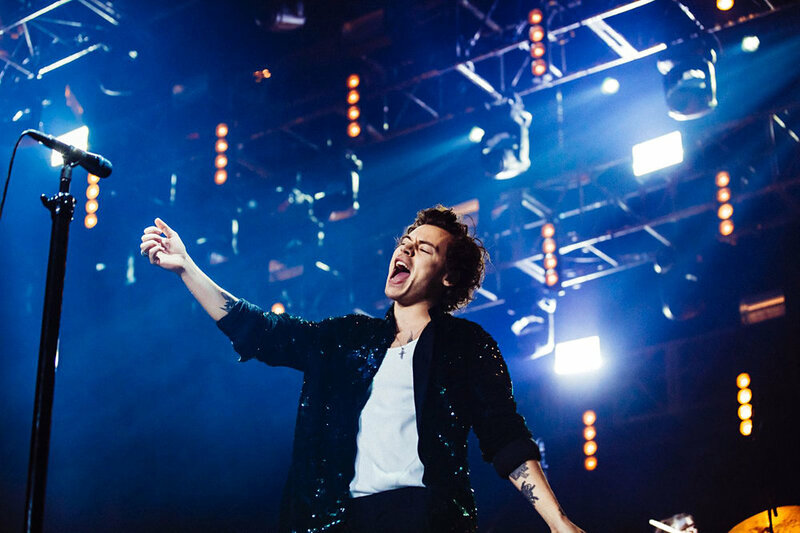 With his solo career launched, a new album out, successful movie parts and securing major gigs (Victoria Secrets Fashion show 2017) it is no surprise to see Styles wearing some of the most sought after labels. 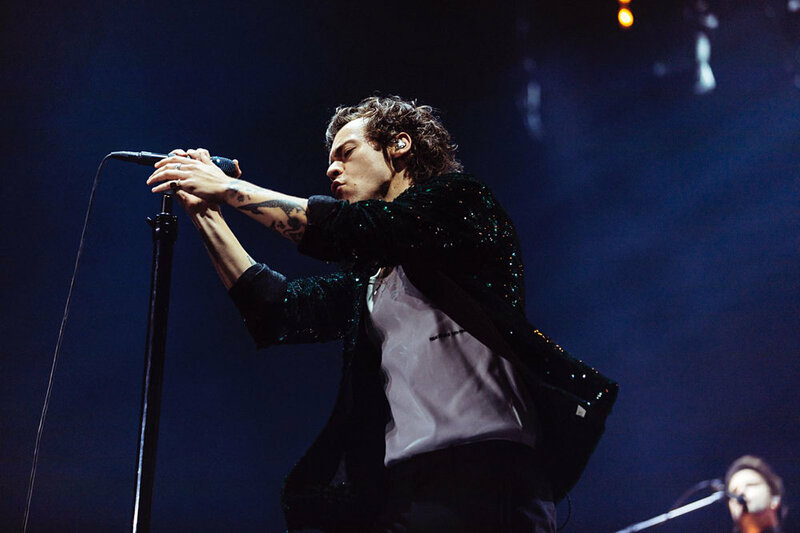 Routinely sporting major brands such as Gucci, Givenchy and Burberry, Styles is no stranger to having his outfits noticed and critique. 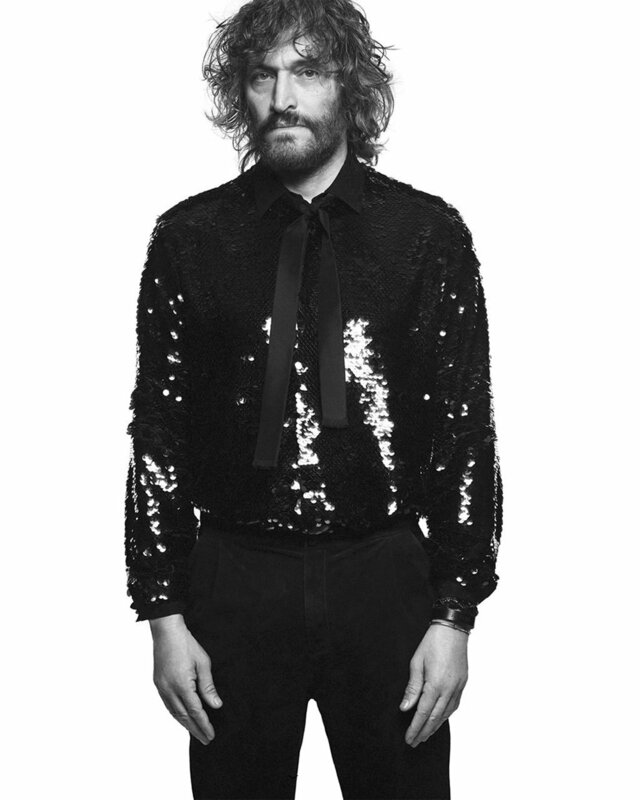 But it is however his collaboration with Yves Saint Laurent on his recent world tour, that has been turning heads. Styles relationship with YSL is a longstanding one; it began when Hedi Slimane was creative director between 2012 and 2016. With Slimane departing to new ventures at Celine in 2016, it was uncertain if Harrys love affair with YSL was to continue. 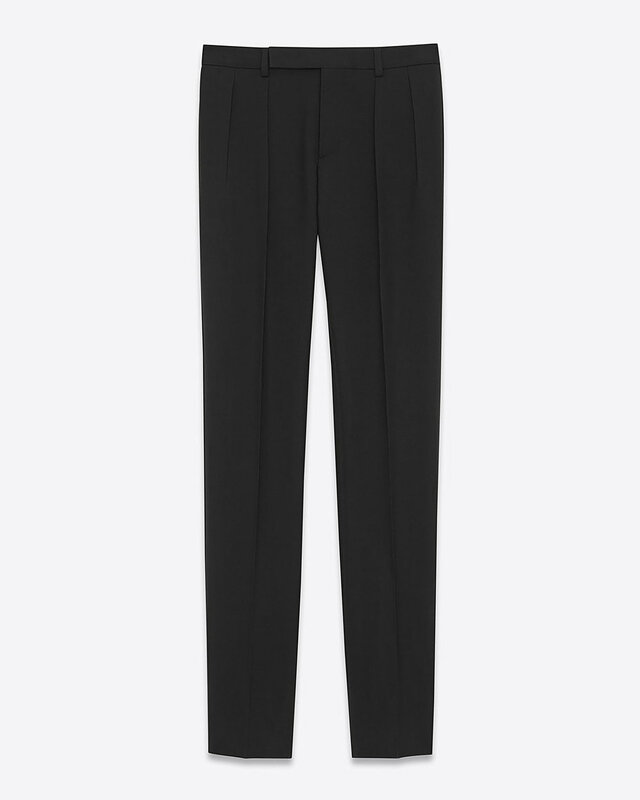 However, the YSL cut; wide at the shoulders, tight at the hips with a glammed up aesthetic matched Styles flair perfectly and his relationship with the brand long continued, despite Slimanes departure. Demonstrating formalwear at its very best, Styles choice of spangled black and silver jacket and trouser suit, teamed with deep cut black tunic is somewhat understated but at the same time lavish. The combination of the semitransparent shirt and long harness boot worn in Paris ensure the ensemble rings true to Styles aesthetic. 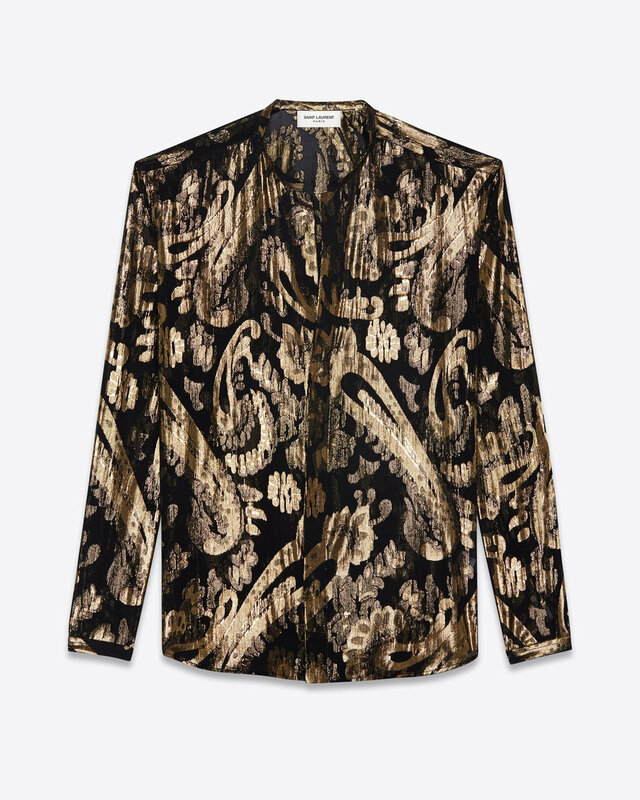 Once the recipient of the British Fashion Councils Fashion Icon Award, Styles treated fans in Singapore to another YSL outfit of sartorial delight; this time in the form of a black silk Tunisian collared shirt with gold lame flowers and simple double pleated black trousers. Not easy to pull off Styles managed to wear lame with the elegance and grace required. 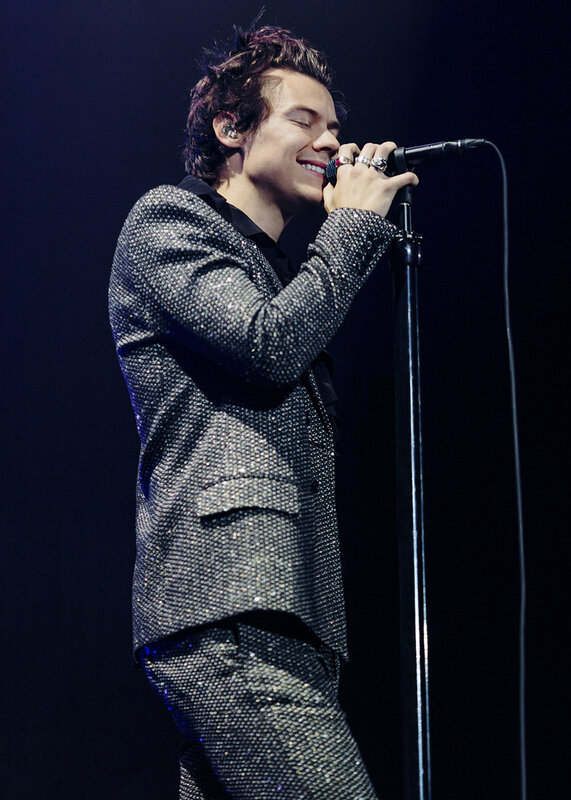 Ignore the faux pas of being photographed in the same garment twice, Styles worn the same double pleated trousers, as aforementioned, for the Santiago leg of his tour. This time however he went for an altogether different vibe, wearing a simple white vest with a flamboyant dark green embodied sequin jacket. Pulling the look off effortlessly.